Have you ever thought about how the colors you chose to represent your business have affected the way customers and clients perceive it? Studies have shown that the colors chosen for branding deeply influence customer’s purchasing decisions. In fact, 60 to 80% of a decision can be based on branding colors. Colors are even registered in the brain before the logo or company name. For many business owners, colors seem like a small decision in the grand scheme of preliminary choices that need to be made, but it is one that seems to have the most impact. How can you choose the best color for your business? Half of the battle is knowing how your customer base is going to perceive your brand. The most popular color choice for businesses is blue, while red or black come in second. 13% of businesses brand with gold or yellow. The psychology of color has a lot to do with either a great or a terrible choice for branding. Each color evokes different feelings for people and can deeply effect how your brand relates to potential customers. Red is an aggressive and energetic color. It evokes a visceral response in people that can increase heart rate and make you breathe more rapidly. It’s great for provocative companies or those in the food, healthcare, automotive, or technology industries. Purple traditionally evokes a sense of sophistication and royalty. You can use purple to make your brand feel mysterious or spiritual. Purple is a popular color for finance, technology, and healthcare industries. Blue is one of the most trustworthy colors. Companies that use blue in branding were described as “dependable”, “secure”, and “responsible”. Blue consistently wins for the most popular color in branding and it is thought to put people at ease. It’s great for industries like finance, healthcare, technology, agriculture, and energy. For many people, green evokes a sense of wealth, peace, prestige, or freshness. There are a wide range of possibilities between shades of green and how they make people feel. Deeper greens are the ones that tend to be associated with wealth while paler shades are more serene. Green works well for branding of companies in finance, food, technology, household, or energy industries. One of the most positive colors, yellow is motivating and creative. It’s a great choice for industries like food, energy, and household because of its optimism and vibrancy. It signifies companies that are playful and fun. Brown is used in companies that wish to portray either an earthy brand or durability. It’s a simple color but often times potential customers rated companies that brand with brown to be less desirable than others. Black is one of the most popular branding colors for a good reason. It’s classically sophisticated and is often associated with higher end products. Social scientists have found that sports teams who wear black uniforms have consistently performed more aggressively than those who do not. It’s often used for products that are expensive (ie: cars, electronics). It’s a great color to use in branding clothing, technology, or automobiles. 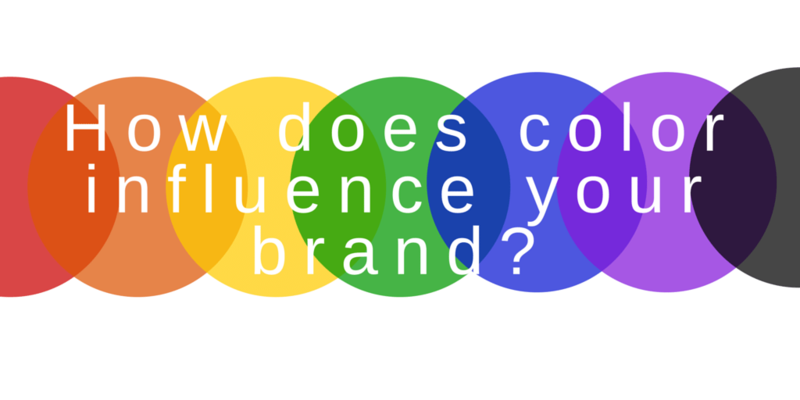 How can you best implement your brand’s colors? Consistency is key in branding. Your logo, signs, websites, and products should all be coordinated color-wise to have the biggest impact on your branding. Call Signarama to schedule a consultation to discuss the colors that will best represent your business and result in stronger marketing.